1x1 contrast rib crew neck. Contrast speed stripe. Textured woven chevron tape. Embroidered hummel Logo . 100% polyester knit. 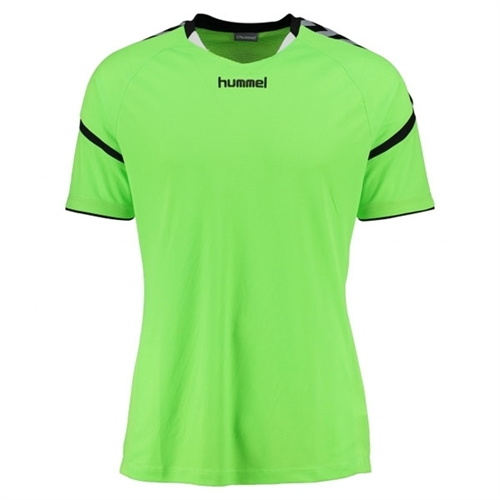 Our Hummel Authentic Charge Jersey is a new take on a classic soccer jersey. Newly integrated with an engineered fabric to give the jersey a fresh new look with arrow going down the sleeves for a stylish design.